Author: Sara E. Hocker, M.D. When you are on the front lines and require neurologic consultation for acute neurologic injury it is imperative that you can relay the relevant information effectively. Herein we present a very general approach. 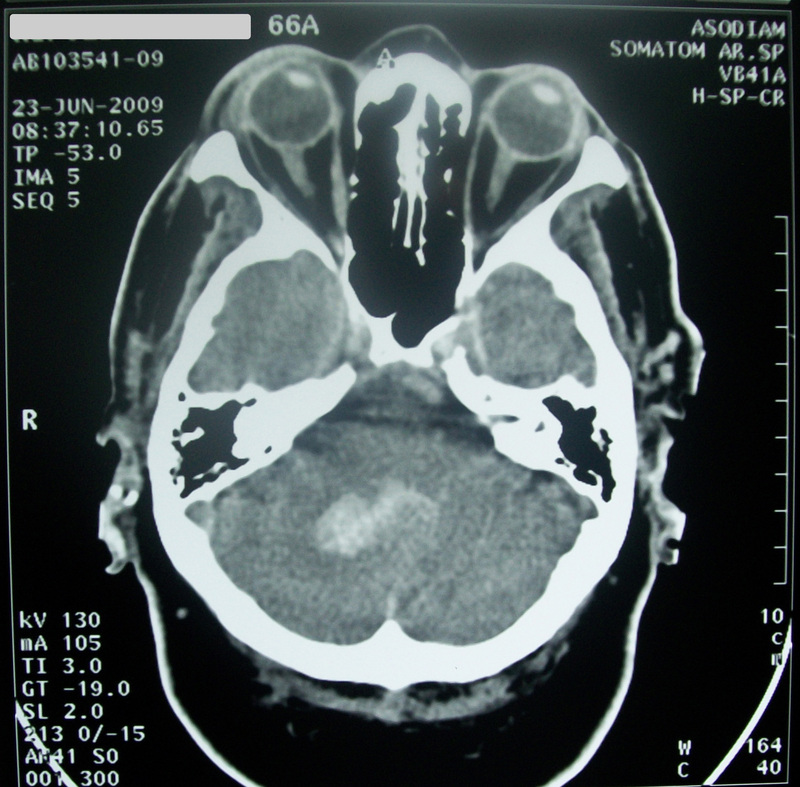 In the first situation the listener is immediately oriented and is anticipating a scripted set of information that will follow including: the examination, location of the hemorrhage (ischemic stroke, tumor, etc), degree of associated edema (key terms include midline shift, compression of cisterns, effacement of the ventricle), presence of associated hydrocephalus or intraventricular blood, and hemorrhagic transformation of an ischemic stroke or tumor. All of these key features help us guide immediate treatment. Over what period of time did the symptoms develop? Was it sudden onset, progressive over days, or progressive over weeks? Sudden onset weakness of all extremities with associated double vision, imbalance and slurred speech - we suspect a brainstem stroke likely due to basilar artery occlusion. Progressive weakness of all extremities over several days with associated arm numbness, leg cramps and dyspnea – we suspect Guillain-Bare syndrome. Second, report a basic neurologic examination. Vital signs including temperature (Temperature is the least reported VS during telephone consultations and is very important in acute brain injury). The differential diagnosis of ‘acute encephalopathy,’ ‘brain mass,’ ‘lowers extremity weakness and back pain,’ and others suddenly changes when fever is added to the mix. Tone if clearly abnormal may be very relevant (flaccid or rigid). If it is not clearly abnormal it is not likely helpful. Focused exam depending on the presenting complaint. Orientation & attention are almost always relevant as are focal deficits. Third, monitor for and communicate secondary insults. Secondary mechanisms of neurologic injury include hypoxemia, hypotension, fever, seizures, hydrocephalus, edema, intracranial hypertension, and tissue shift and brain compression. Patients with acute neurologic injury require frequent re-assessment due to the high potential for secondary injury.